Marked here on the 1909 Lloyd George Land Survey map. Does anyone know how far the history goes back? 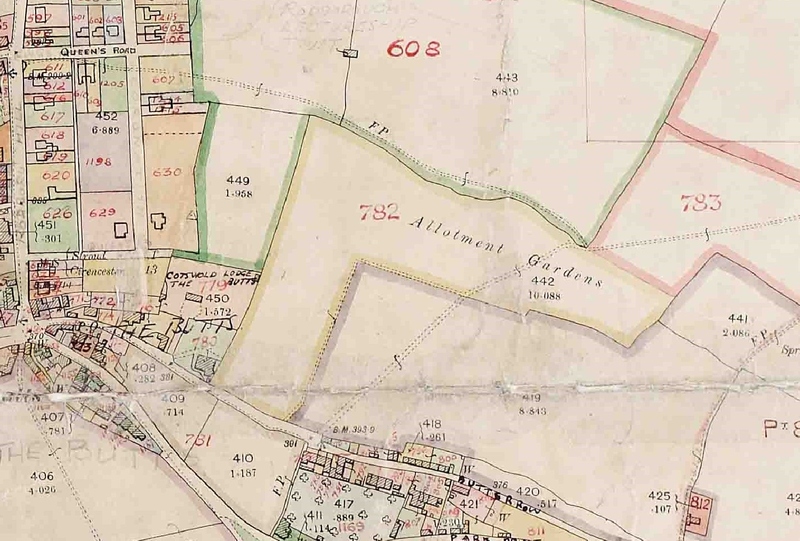 My father – Wally Cawthorne – and Grandfather – Bertie Philpotts – had allotments on the site shown on the map. I can remember as a child “helping” Dad and Granddad gardening on the allotment through the 1940’s after the war. 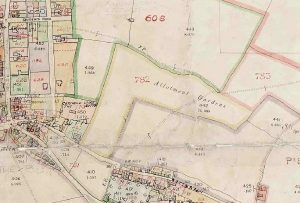 We accessed the allotments through a field gate at the end of Queens Road….long before Rodborough Fields were built on. Rodborough Fields were our “playground” in those days, ranging right down to the railway viaduct off Stroud station. I remember how as small children we avoided the watercress cage in the fields – rather afraid not understanding what it could be?